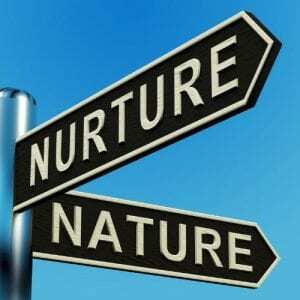 Entrepreneurialism, is it Nature or Nurture? For sake of argument, let’s assume the entrepreneurial team has received funding from early stage investors, maybe angels, seed VCs, the crowd and grant providers. This stage may seem to be hard work for all parties, but in hindsight, the next decade will be much harder. In fact, some say that along with the ready availability of money, having an idea and raising the necessary capital has become too easy. The knock-on effect of this can be that some entrepreneurs significantly underestimate the anguish involved and are maybe blind to the broad package of skills and ability required in order to travel the full length of the entrepreneurial road. A road made up of market knowledge, timings, team building, and luck. But traveling this road is required in order to turn a start-up into a scale-up. A successfully scaled entrepreneurial journey means raising equity and debt, building a team, developing the tech (or service), marketing, finding customers, optimising pricing, holding onto those customers, pivoting, maintaining differentiation, protecting IP and know how, hiring, retaining and exiting employees. Always trying to avoid failure. That’s really difficult but constant and hopefully eventually pushing through to the intensity of a trade sale, private equity deal or IPO. This means juggling all these balls at the same time as sticking within the ever-changing taxation, health and safety, environmental regulations, maintaining communications with stakeholders, and as if that wasn’t enough, remembering to remain open to continual learning, welcoming advice and preserving your own well being. As we all know, life is not a rehearsal. For all of us the chance of being on the wrong path, whether work or personal during our lives is huge. In my case, I equate my start-up journeys partly like mountains. I climbed Kilimanjaro ‘because it is there’. I ski a steep, although not icy, black run for the thrill and satisfaction of getting to the bottom. In my early 20s, I became unemployable, you could ask my first and only boss Greg Meekings, he was my manager at Logica and is now chair of Arachnys. I left that company 39 years ago! I heard the term “journeyman” from a close entrepreneurial friend a decade ago and decided to avoid being given that tag. Not that I don’t respect skilled tradesman, after all, where would we be without plumbers and bricklayers? But because the original definition is a person who is paid wages by the day. The modern-day meaning is a person who spends their life learning, to which I think we should all aspire. I am confident that anyone willing to take the entrepreneurial risk, along with a strong desire to scale and be prepared to take the risk of failure, is not a journeyman. However, there are over 5 million micro and small businesses in the UK many of which actively avoid scaling, the majority have no employees, certainly no external investors and can be classed as lifestyle businesses. These founders have all taken some risk, many work harder and longer hours than if employed and many earn less than if they worked for someone else. I sincerely hope that they all value their independence and the lack of a boss, except their customers and their bank manager of course, and that they value the pleasure of ending their 9-5 role with one that fills many more waking hours and sometimes endless sleepless nights. To conclude, ‘would I have done anything differently?’ As I’ve said many times, I taught myself not to have regrets but as I also said in “Dear 29 year old Peter” I should have listened more. Knowledge is a fantastic base for an entrepreneurial venture but seeking, meeting and learning from other people is the winning formula. My late father emphasised that for many years and I rebelled against his advice, but I eventually realised that he was correct. I have since recognised the need to value the hundreds of people who have helped me over the decades.